Prime Minister Narendra Modi Invites Kazakhstan To Join The International Solar Alliance: Today Modi had a “productive” meeting with the Kazakhstan President Nursultan Nazarbayev and invite his country to joins the International Solar Alliance. Prime Minister Modi met Nazarbayev on the issue of the Shanghai Cooperation Organisation here in the eastern Chinese port city. Prime Minister Modi had a productive meeting with the Nursultan Nazarbayev, who is the President of Kazakhstan, on the issue of the Shanghai Cooperation Organisation Summit. The Ministry of External Affairs’s Spokesperson Raveesh Kumar said. 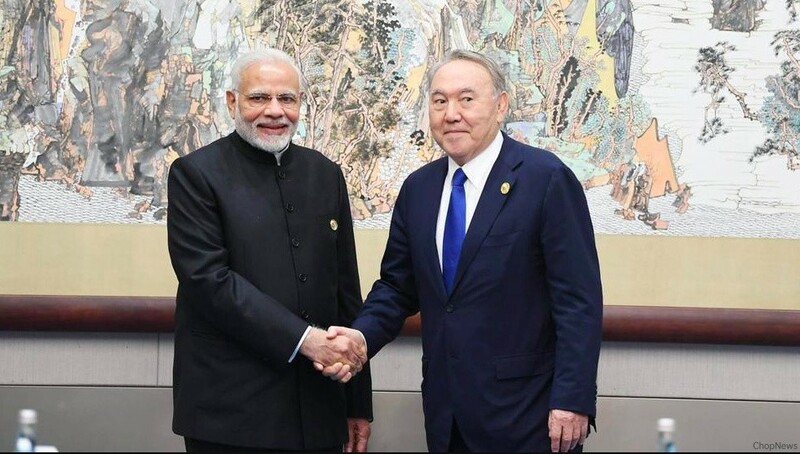 Prime Minister Modi inviting the Kazakhstan president to joins the International Solar Alliance, which is an initiative announced in the year 2015. Its primary objective is to work for the efficient exploitation of solar energy to reduce dependence on the fossil fuels. Narendra Modi inviting Kazakhstan to joining the International Solar Alliance and the President of Kazakhstan, who is responding positively,” says Ruchi Ghanashyam, Secretary (West) in the Ministry of External Affairs. Modi held nearly half a dozen bilateral meetings with the leaders of other Shanghai Cooperation Organisation countries. Other countries leaders, who are attend the summit such as Chinese President Xi Jinping, Russian’s President Vladimir Putin, Iranian’s President Hassan Rouhani and Pakistan’s President Mamnoon Hussain. Prime Minister Narendra Modi yesterday had different meetings with the President of the Uzbekistan’s Shavkat Mirziyoyev and Tajikistan’s President Emomali Rahmon on the issue of the summit here and discussing a range of the topics with them to further strengthen India’s ties with the resource-rich Central Asian countries. So, these are the points to describe on the Prime Minister Narendra Modi invites Kazakhstan to join the International Solar Alliance. Please comment your viewpoints on the above mentioned Article.